It happened in the Transylvanian town of Hungarian majority, Sepsiszentgyörgy. Because she couldn’t speak Romanian, the doctor from the emergency department told her to go home – claimed by a woman from Sepsikőröspatak, who went to the emergency department of “ Dr. Fogolyán Kristóf Hospital” about a week ago. 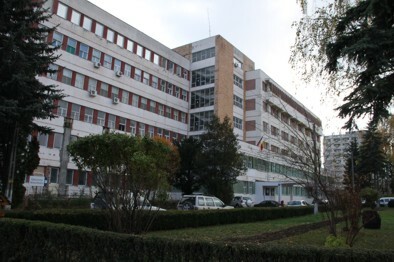 The case was presented in the local newspaper by a letter sent by the victim to the editor, where she stated the following: “On that day, Dr. Alina Braţu was in charge at the emergency department and when it turned out that I can only talk about my health complaints in Hungarian, she told me that if I can’t speak Romanian I should go home”. Not hiding her identity, Majos Mária also said that she had to wait for a long time until a nurse finally came to help her to translate her health complaints. Finally she received treatment, but she had to wait for half an hour until they took out the perfusion needle. Regarding this case, we reached the management of the„Dr. Fogolyán Kristóf Hospital”, and we found out that there were no charges filed in this case. The message of András Nagy Róbert, was conveyed by Nagy D. István spokesman, who told us: the woman didn’t report the case, nor she didn’t file a a complaint, neither personally or in writing, thus it’s difficult to control this situation. For the hospital’s management it is important, that any abuse or refuse of medical attendance experienced by patients to be also reported to the hospital’s management. The “Mikó Imre Legal Aid Service”already knew about this case, and its staff is looking for an answer. They told us: ”cases like this are unacceptable and are against the law. We hope that we can solve this case, and find a proper solution as soon as possible”. The Legal Aid Service will release a newsletter about this case, if they will find out more details about what happened exactly.